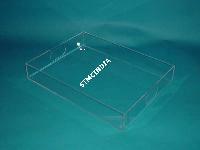 We are manufacturing all type of acrylic trays, boxes, paper weight, acrylic gift articles etc. 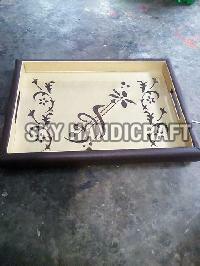 LOGO : Yes, Deboss , Emboss, etc.. 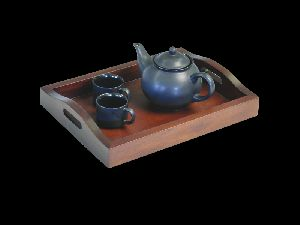 DESCRIPTION Solid Wood Tray with 2 cups and Kettle for Spa Room CUSTOMISATION AVAILABLE The wood color can be customized as per the requirements. 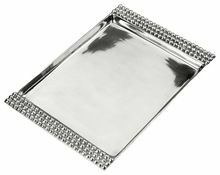 Made from a single sheet of mild steel, this tray’s bevelled edge makes it easy to hold or lift off the table when it is loaded with glasses. 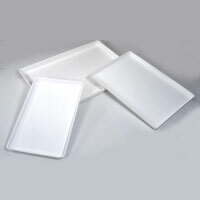 Capable of holding nine regular sized glasses, this minimalist yet super elegant service tray will make even serving water at dinner parties a real treat. 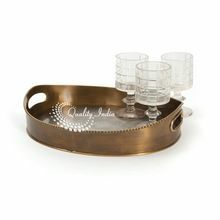 Available in two finishes - plated in antique brass or antique copper. 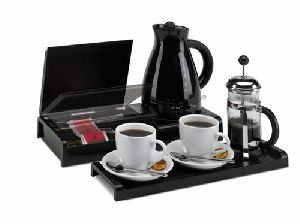 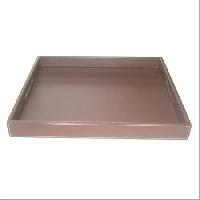 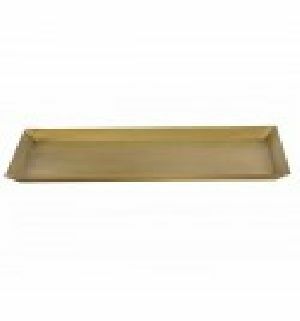 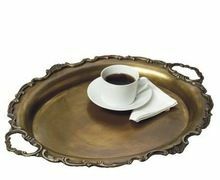 We are offering service tray.40x35x4 cms , brown leatherette tray. 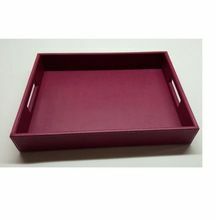 With the assistance of our automated warehousing system, we are able to properly organize and stack the products in our well-structured warehouse. 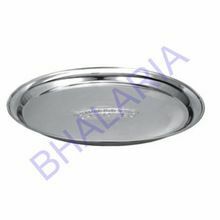 Thus, we ensure zero defects at buyer's end. 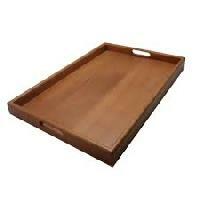 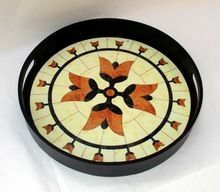 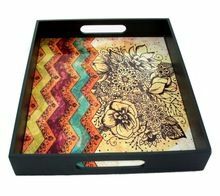 Emerged as an eminent Supplier, we are well-known for dispatching the comprehensive range of Wooden Serving Tray. 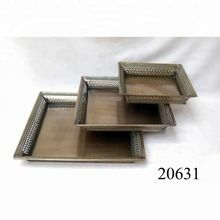 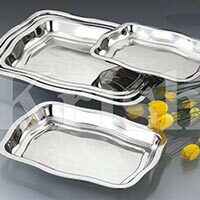 We are offering marble service tray. 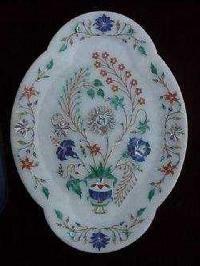 Ray is made from Blue HIPS - can be made in any other color as well. 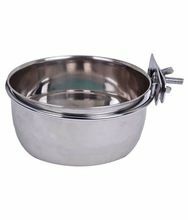 Lid is made from PVC for better clarity. 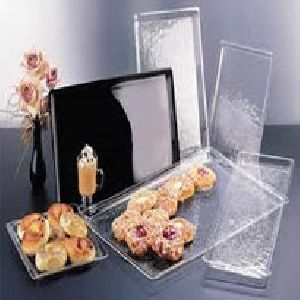 Well suited for Airlines, Hotels, Food Outlets etc. 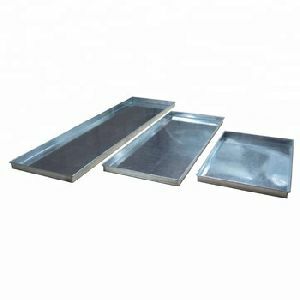 WE are a SEVENTH GENERATION company Manufacturing wide range of Stainless Steel products (more than 2500 products) mainly used in Food Service Industry viz. 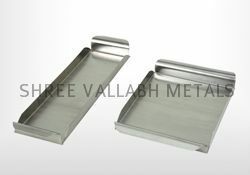 Bar Accessories, Restaurant supplies, Kitchenware, Fabricated products, House ware, Wire products, Bake ware, Aluminum products, Bathroom Accessories, Office Accessories, OEM parts etc. 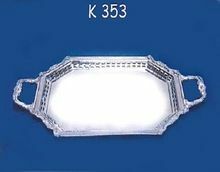 This piece of handicraft is use for metal service and breakfast serve of rectangular size in gemstone painting with handle.